Marquee Moon (180 Gram Vinyl) by Elektra at WA Tunes. MPN: 8122797158. Hurry! Limited time offer. Offer valid only while supplies last. Widely considered one of rock's most auspicious debuts, the critically acclaimed Marquee Moon now features an additional 30-plus minutes of music! Widely considered one of rock's most auspicious debuts, the critically acclaimed Marquee Moon now features an additional 30-plus minutes of music! 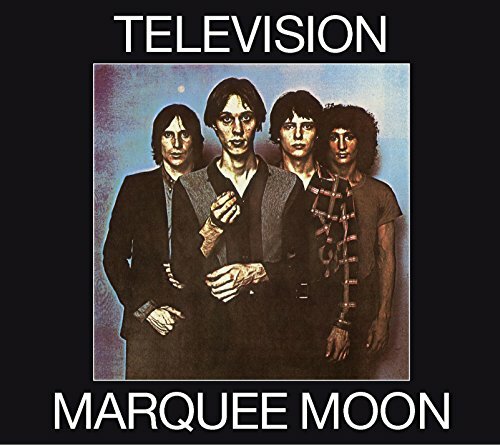 Marquee Moon's five bonus cuts includ four previously unreleased tracks- alternate versions fo signature songs "See No Evil", "Friction," and "Maruquee Moon," plus an untitled instrumental. Marquee Moon includes the full length version of "Little Johnny Jewel" on CD for the first time in it's entirety. If you have any questions about this product by Elektra, contact us by completing and submitting the form below. If you are looking for a specif part number, please include it with your message.